Bon ton roulet! It’s fat Tuesday and that means – time to party. Unless you are, like me, sitting in a grey cube in corporate craziness. I went to Marti Gras back in 1990 with a whole crew of Lamda Chi’s from Mizzou. 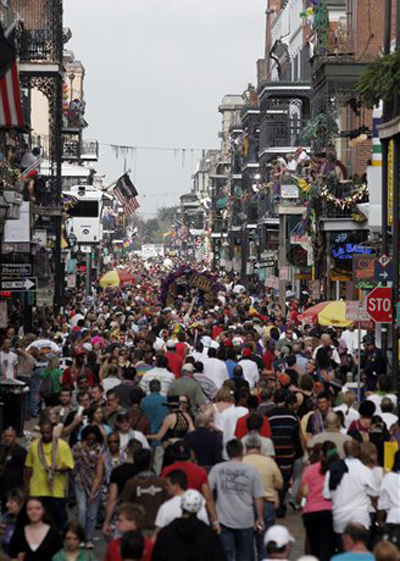 Great times, although I can’t post any pictures of that visit… I found a nice web camera shot from events earlier today looking down Burbon Street. Man, this is where I need to be.